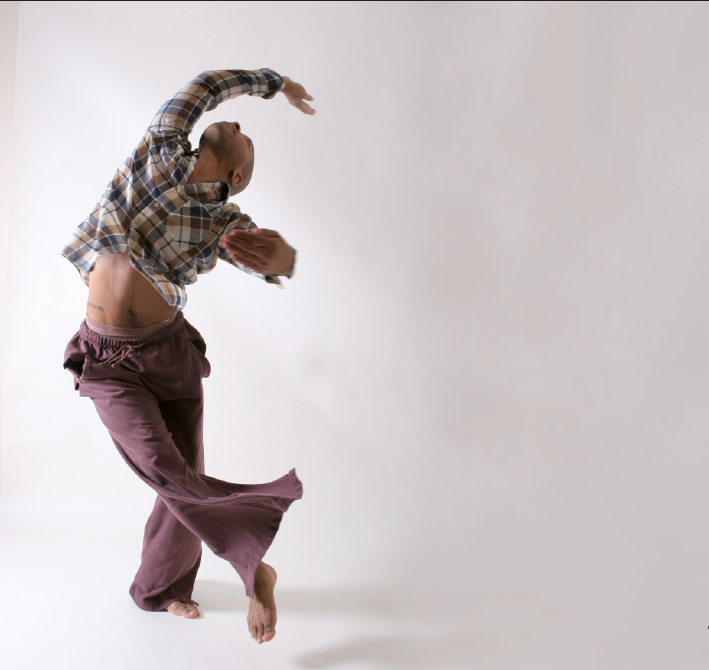 On tour with his dance company Abraham.In.Motion, and not currently living anywhere, choreographer and dancer Kyle Abraham is reflecting on the balance of craft and community. All the while, he continues to build and share his creative, vulnerable and dynamic work. 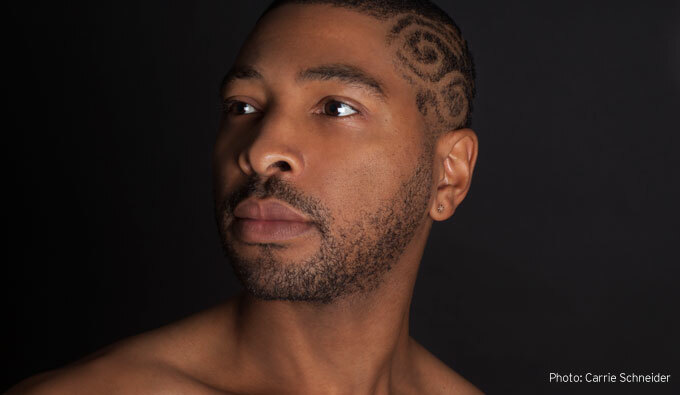 A 2013 MacArthur Fellow, 2012 Jacob’s Pillow Dance Award recipient and 2012 USA Ford Fellow, Kyle began his dance training at the Civic Light Opera Academy and the Creative and Performing Arts High School in Pittsburgh, Pennsylvania. He continued his dance studies in New York, receiving a BFA from SUNY Purchase and an MFA from NYU Tisch School of the Arts. In March 2015, Kyle did a phone interview with MUSEUM. In a 2012 interview with the New York Times you stated, “music is my biggest passion.” Would you say that you create music? I used to. The last time I made any music for a show was for a show of ours called Live! The Realest MC, and I didn’t even do much. I just added a random track that we needed with some industrial sounds and layered it up a little bit. There was a period of my life that I moved to England to be a singer, but that was short-lived. Are vocals something that you try to incorporate into your choreography? Oh no, not necessarily. I love to play with text. Oddly enough, the most recent works are the only works in the past two years that didn’t have any text. Usually the works have a good amount of text in them. Do you write as well? Yeah. I do a fair amount of writing for each show, and for myself, and doing all the grants and stuff. I haven’t been doing as many grants in the most recent years because I’ve been a little overwhelmed, so I try and hire somebody to do that. But even with that, I still usually write the narrative and then they do whatever they need to for whatever grants they’re writing. I’m supposed to be. I’m trying to find some more fun books. I need something good. What am I reading right now? I’m reading a little David Sedaris. I got it from my partner’s family. They gave me Dress Your Family in Corduroy and Denim. Have you ever read that? I’m reading Naked right now. Right. So being an artist can be challenging for people who are close to or around the artist. What negotiations or sacrifices do you feel like you’ve made for members of your community or family? Oh my gosh. It’s tricky. The last interview where I mentioned my partner didn’t go very well in terms of how I mentioned him. So, it’s a really tricky thing. I’m getting to this point in my life now where I’m actually realizing more and more how important that personal part of my life is. I think so much in the past I’d given any and all time to the work, and so many relationships had ended because I was more interested in the work. And now I’m just trying to find a much healthier balance. Seeing how supportive not only my partner can be, but our families can be, is exciting. But the challenge there is the patience, you know, because I tend to set my schedule two years in advance so that I know that for the next two years my rent will be paid—when I have rent, which I don’t have right now. So my relationship now is just entering its third year, so it’s just getting to the point where I’m able to make a lot of changes to make sure that we can see each other a lot more. But it’s definitely been a challenge to make that space and to trust that the work won’t suffer. And it’s also a challenge to make sure I don’t blame him if something doesn’t go well—which I don’t do, but it’s my personality to try and figure out why everything is going wrong. I’m like, “Maybe if I didn’t go out and visit for a week, if I’d stayed in rehearsal, then the work would have been different.” But more than that, it’s like maybe the work would have been different if this dancer didn’t leave when they left the company at the last minute, you know? Stuff like that. Even, thinking more about that personality stuff and the personal stuff, I’m realizing more and more that I actually only want to be making work around people that I have a good rapport with. And I do luckily have some wonderful dancers and artists and collaborators to work with, but there’s always been this point where—there had been for years—always only one, but always one diva in the company. And I would just put up with it. Or someone in the administration I’d have too many issues with, I’d just put up with it because x, y and z. But now I’m like, you know what, I don’t have to put up with this anymore. I’m just going to make work around people that really help me to have fun and help me to feel supported. There’s a wonderful group of women in the company right now that joined in the last two years, and it’s great that they all get along so wonderfully, but more than that they really support me. They’ll send me a text message asking me how I’m doing, and I’m like, really? That’s so nice. It’s different. It makes the work and the workroom a lot more enjoyable for everyone. So, kind of along the same lines, what do you do outside of your craft to feed into bettering yourself or your craft? I guess a lot of random things. I love some good old-fashioned escapism. So watching programming like a little bit of Wendy Williams every morning. Or the end of my nights, if I had an apartment it would be DVR-ed while I’m responding to e-mails at the end of my day. I just turn on my Wendy Williams and just kind of zone out on that. Or I love going and seeing a big blockbuster movie, like anything with superheroes, or witches, wizards…all that kind of stuff. They make me happy. Other than that I used to work at the Andy Warhol Museum and I think that actually does both—I find it could be a great escape but at the same time a great source of inspiration. Similarly, going and actually seeing a lot of dance shows. When I have a block sometimes I’ll go and see a concert, I’ll go see some dance work. Not to get inspired. Sometimes I’m just watching something and then something might click for me. So just seeing that is really helpful and those times can be a stress reliever. Sometimes it can be a stress-inducer because I’m thinking I only have x number of weeks before a certain premiere comes up. What impact does having and not having money have on your craft? Oh gosh. That’s a tricky question, you know, because the perception of when we have money is…the thing of grants coming in, I think one of the best times, creatively, was this transition between being really broke and getting a lot of support to make my work. Which still had me being broke, but I had dancers who were really only there because they loved the work. The money wasn’t flowing in. Of course I was paying them as best I could, but I knew and they knew that we were really there for the work. And more than that we were being supported by institutions who didn’t necessarily think that the work was going to be this or do that for their institution, they just wanted to support me as well. So things like the Joyce Theater Foundation giving me space residency and some commissioning money for work like Pavement or The Radio Show. And The Radio Show went on to win a bunch of awards, as did Pavement, but there was no expectation of any of those things. Or, Harlem Stage supported a bunch of work in the earlier part of my career, and the people who work there would take me out to dinner and just talk to me about my work and give me really great perspective on making work. During The Radio Show and then after The Radio Show, and prior to that, I was facing a lot of financial hardships, and there were times when I couldn’t even afford to eat dinner. But I felt really good about the work that my company and myself were making. And I’m starting to get to a good place now that the financial structure is definitely different for me than it was in 2010-2011. Now I think the hardship in having a little bit more economic support and a little bit more financial bones, so to speak, is knowing that it’s not a given. That the work will not continue to flow in. And with the fear of the work stopping at some point, or the spotlight dimming at a certain point, there’s an inclination, and a desire, to just take anything and everything that sounds like a great opportunity. But there’s not enough time to really invest properly in making each work its best. You don’t want to be remembered for five terrible works that are frivolous, when instead you could be hopefully known for one to two works that made a greater impact. So it—it gets really tricky. I just had to say no to a really amazing project last night, and I hope that it comes around again, but there is no guarantee that it will. I think to even go to back to an earlier question about finding that balance between the personal life and the professional, I think that’s a whole other component because if I took that job, I wouldn’t be able to see my partner for most of the summer. Trying to find that balance while also trying to really put my head on straight for whatever new works I’ll be making for my company is definitely a big a challenge. And I think it’s also a lot of expectations now about the work being a certain kind of way. You know, once I received the MacArthur award, I think people had an expectation about how polished the work might need to seem. So when I go to then do a presentation, assuming that when I applied for x number of grants that some of them might come through, and then none of them come through, I’m then in a very tricky place because I know there’s this preconceived notion that the work is going to be x, y and z. So where are those funds going to come from? They end up having to come from something that actually was supposed to support a lot of my personal development as well as my professional. What is the most recent lesson that you learned, or were reminded of, about yourself? I think some of it comes from my last rambling, and thinking about the fact that I don’t need to be saying yes to everything. And that I need to really make the time to trust people, and see who I can trust and who I can’t. But really not assuming one way or the other. So when I get into the creative space, really allowing for that vulnerability to happen. I can’t expect an artist, collaborator, to be vulnerable if I’m not being vulnerable as well. So I think I have to open that up in myself as well. View Kyle Abraham’s work here.